MotoGP is the pinnacle of motorcyle-racing just like Formula One is to car-racing, and even though their popularity has somewhat tarnished by questionable calls by commercial-rights holder “Dorna” in recent years, MotoGP is still by far one of the most thrilling and fun motorsport events one can experience. 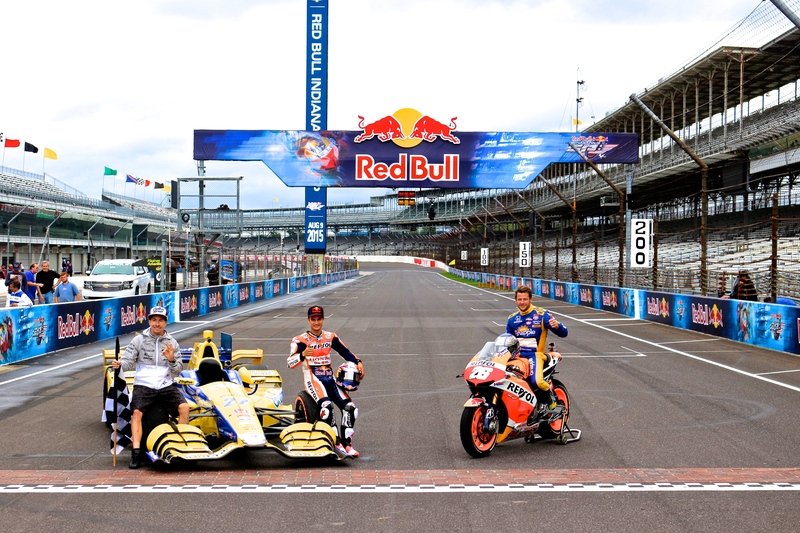 Every year as MotoGP arrives to the Circle City it has become somewhat of a tradition of the Indianapolis Motor Speedway to hold a “Cultural Event” involving star MotoGP riders and local sports figure(s). Last year, MotoGP riders like Nicky Hayden and Jorge Lorenzo visited the home of the Indiana Pacers to throw some hoops, and briefly step into the shoes of a professional NBA player. This year’s Cultural event was much more exciting —not that basketball isn’t, of course. 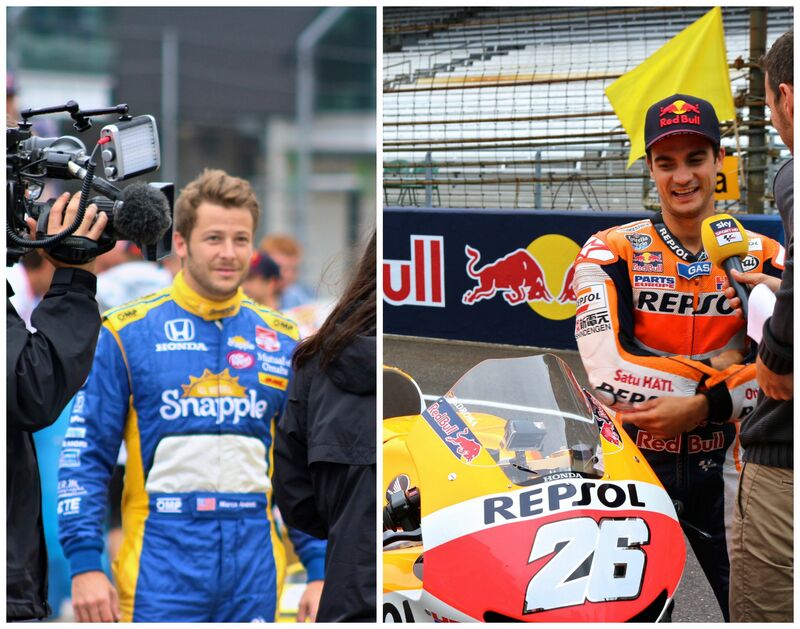 Last week’s event involved MotoGP’s Honda Repsol rider Dani Pedrosa and Indycar’s Andretti Autosport star driver, and Mario Andretti’s Grandson —Marco Andretti. Most years, scheduling for the cultural event is planned out well in advanced and the media is given a pretty good idea of what the event will feature, but this time everything was much more “hush-hush”, and it wasn’t until I turned up to the Yard of Bricks that I realized why. 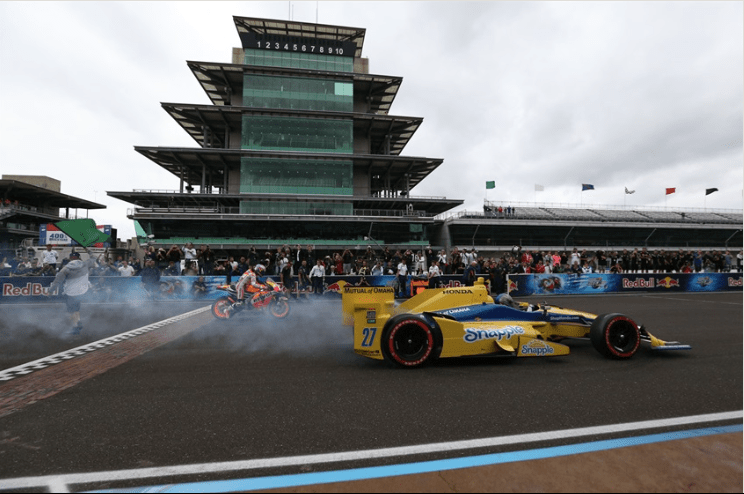 A race-ready Indycar and MotoGP bike were to race head to head around the Indianapolis Motor Speedway road course, the very same one designed for Formula One many years ago. 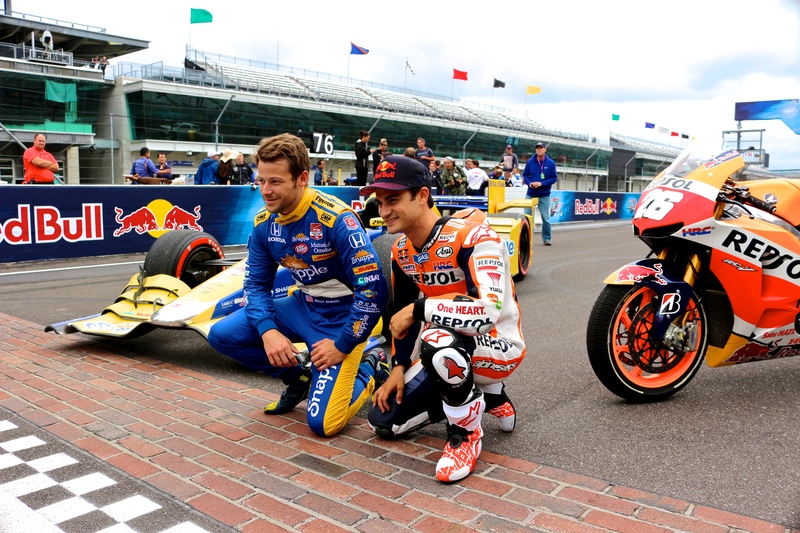 Picture a bright yellow and blue Indycar piloted by a member of the Andretti dynasty, and a red and orange motorcycle tamed by a global sports super-star lined up side to side at the famous yard of bricks, a second later the flag drops and the engines scream, the tires light -up and off they go. The rest was more of a sound experience, as they headed into turn one and out of sight in just a few seconds. Hearing both machines run through the back section of the track and then back around to the main straight was like listening to angels sing along with Carlos Santana on guitar, Phil Collins on drums, and Barry white as back-up singer. Needless to say —mind-blowing. The entire show was over in about three minutes, but even fifteen minutes later I was still a bit tingly from what I had just witnessed. This is something to remember forever. 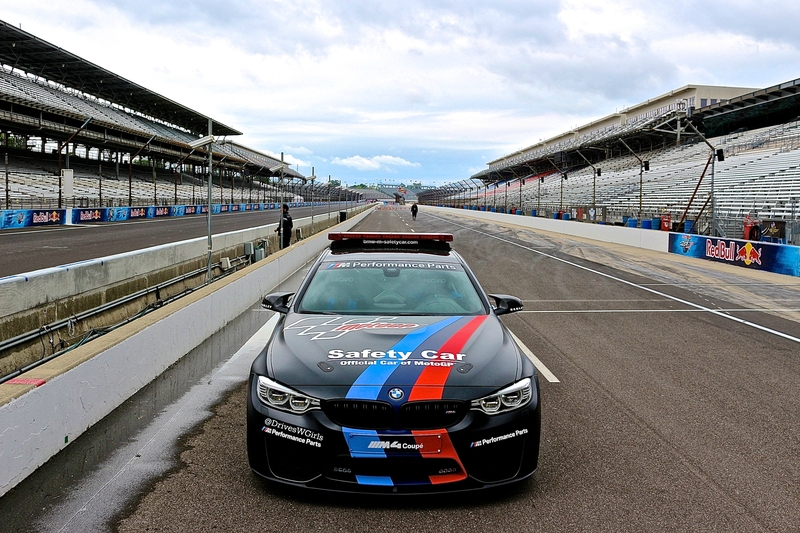 If that weren’t enough, I ran into the MotoGP Safety Car driver on my way out, and after sharing a few words in Spanish he felt comfortable enough to let me into his hugely-modified BMW M4 and show me all the bits and pieces that make it the official MotoGP race vehicle. It was truly a memorable day! If you live in Indy and haven’t attended a MotoGP race, you are seriously missing out —tickets are inexpensive and the Indianapolis Motor Speedway guys are cool enough to let you bring your own food and drinks. If you live elsewhere, try to check them out at a track nearby. Oh, and don’t forget to bring the kids!